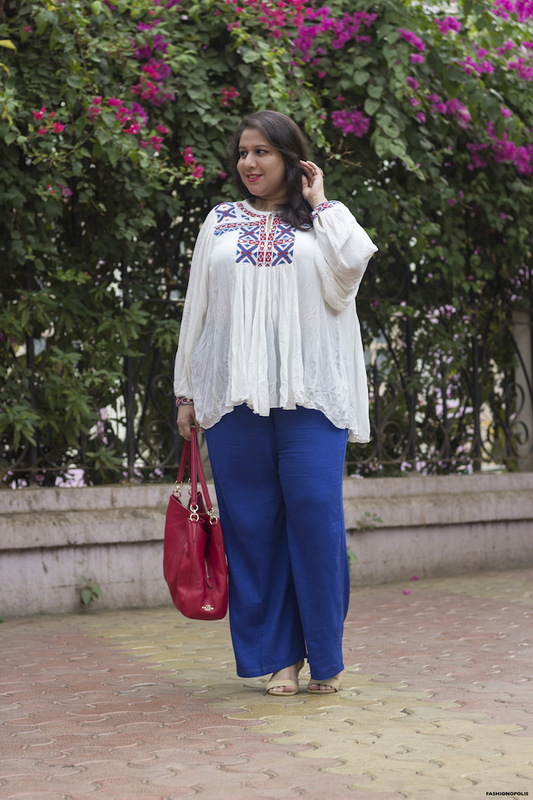 Can Plus Size Be Aspirational? One would assume, with India finally having its first ever plus size fashion show such questions would be a thing of the past. No such luck! For someone who has been plus size most of her life, questions like these are common. However, what is infuriating is, the more inclusive the fashion industry strives to become, the louder these questions get. The one thing that is holding the fashion industry back from including plus size and visibly fat bodies is a set of rigidly imposed rules and norms. It is the same rules and norms which made us believe that dusky and dark skin can not be beautiful and to be anything in life we all need to be fair and lovely! The real question is: how can something that represents more than 60% of the country’s population NOT be mainstream? 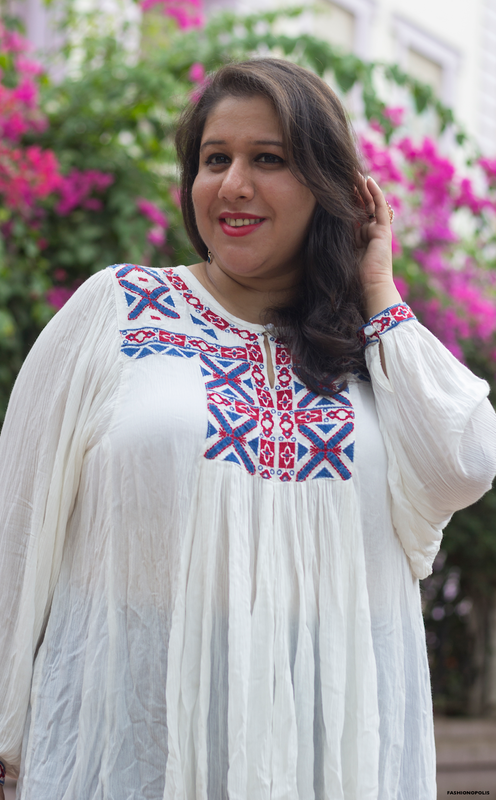 It's no secret that the fashion industry - in India and globally - has long struggled to adequately represent plus size and fat women, failing to offer her quality fashion, fair representation, and excluding her from runway shows and editorials. 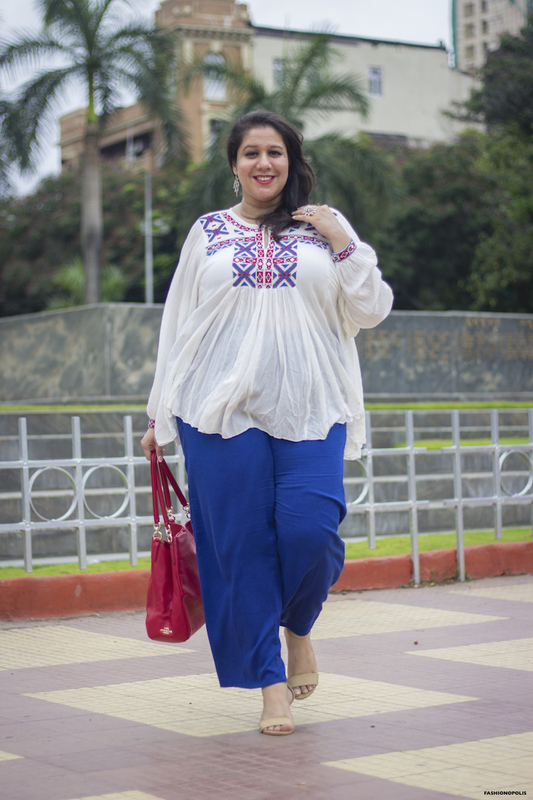 Before plus size can become mainstream and aspirational, it first needs to be normalized and socially accepted. Since plus size and fat bodies have been marginalized for a very long, it needs a serious change in the attitude and narrative. For fashion to become an inclusive industry, we need to fight and end all kinds of size hegemony. The only way to normalize plus size and fat bodies is by breaking all stereotypes and myths about it. Let’s start by breaking the most common myth: All plus size women are fat. This is absolutely not true. All plus size women are NOT fat. But all fat women are plus size. However, that doesn’t stop society from labelling every non-thin woman as ‘fat’. The first step is to reclaim all negative words and terms associated with plus size bodies. Who Is Afraid Of The F-Word? FAT: It is that one word women are indoctrinated to detest. Just a mention of it has then freaking out and there is no bigger insult than being called that. A three letter word that has forced women of all ages to go to war with their bodies. The fear of ever being labeled that has been the root cause of body dysmorphia and eating disorders. In a thin-obsessed society, being a fat woman is to fail on every single level; it is not just a physical flaw but a moral one as well. Now, thanks to the fat acceptance movement and fat activism, the word ‘fat’ is losing its negative status. For many of us it is just another word, an adjective, that describes us. Fat and thin are just descriptors. Neither is fat an insult nor is thin a compliment. The ultimate aim is to pretend you’re not fat. Instead of telling plus size and fat women to be comfortable with their bodies, women are encouraged to “look slim”, to buy clothes that are “flattering” and to avoid certain type of clothes because they don’t hide the fact that fat women are fat. We have been taught to want to look smaller than our natural size. 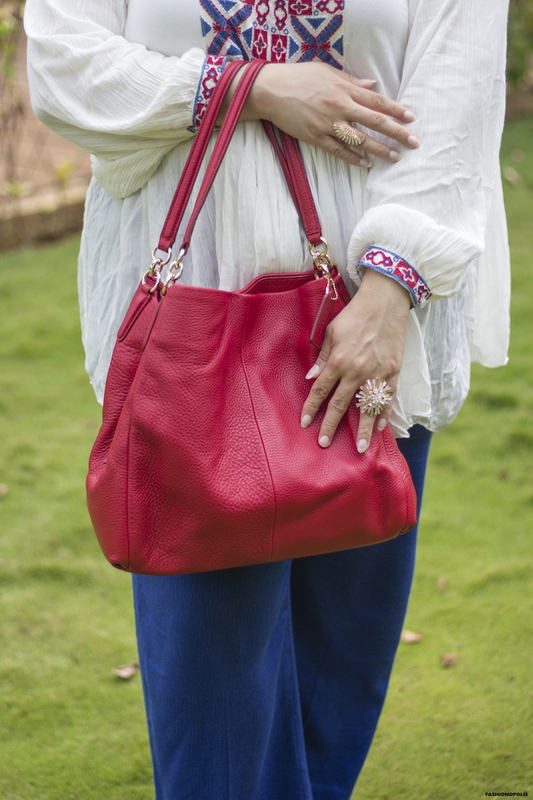 More often than not, we shun an outfit because it makes us look our real size and is not “flattering and slimming”. Plus size and fat women need to understand that designers and brands are not magicians. They can’t make your body looks 4 sizes smaller with their clothes. Let’s face it - If you’re fat, you’ll look fat no matter whatever you wear, and the sooner you accept that, the better. The fear of “looking fat” or being called “fat” has terrorised women to such a large extent that they will torture their bodies to avoid that label. This is also one of the reasons why most plus size and fat women don’t experiment with fashion and deny themselves the joy of fashion. First, you need to accept you are plus size/fat. Whether or not you choose to label yourself as fat or plus size is your individual choice and not a norm or compulsion. You just need to acknowledge it to yourself. Once you do that, it will give you the freedom and confidence to dress the way you want for the body you have, instead of trying to dress in ways you think will give you the body you don’t have. 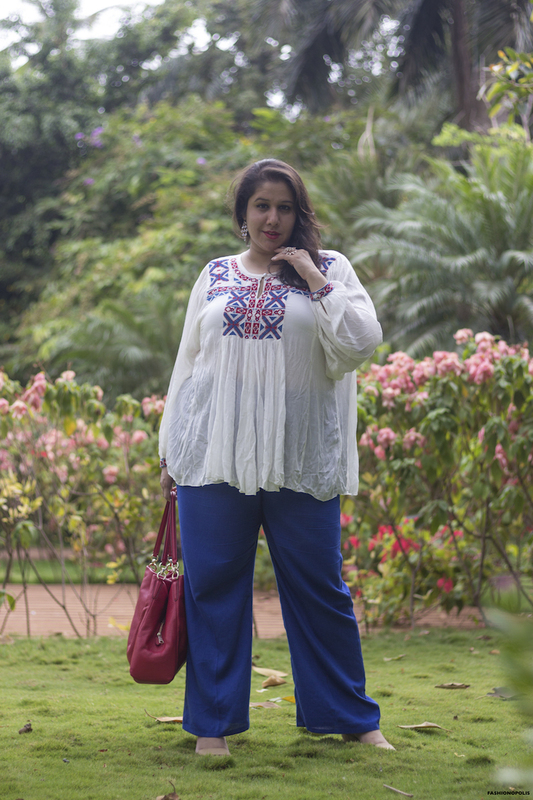 Even though over 60% of India’s population is plus size, disdain around “the f-word” is one of the main reasons why plus size fashion hasn’t yet managed to gain mainstream momentum in India. Plus size and fat bodies are often depicted as the unhealthy ‘other’, the unattractive ‘before’, a warning sign for heart diseases and a poster child for obesity epidemic. Like all forms of media and pop culture, fashion too is a part of the body politics. Women are not just taught to hate the word fat; they have been brainwashed into believing that being plus size or fat is a temporary point in their life and they should not buy clothes for their body as it is now. The not-so-subtle message being sent is, for women to participate in fashion they first need to become the ‘after’ picture and they should only buy stuff when they reach a socially and fashionably acceptable weight. With so much negative stereotyping how can any one expect plus size to be seen as aspirational? When you constantly tell plus size and fat women that their body shape should be considered temporary, that their current body is not the body they want, how can you expect them to look at plus size fashion as an aspiration? For then, plus size fashion is a means to an end, something to cover their plus size or fat bodies, not something they want or desire. Yes, there are many plus size and fat women who are not happy with their shape and size and genuinely want to change it. However, that should not be used as a yardstick or an excuse for all plus size and fat women. Just because some women are not comfortable with their plus size/fat bodies doesn’t mean you assume all women are. A lot of women have found a balance between fat and fit. I am one of them. I have always strived to be fit and healthy, both, physically and mentally, rather than kill myself trying to be thin. I don’t see thin as a prerequisite for being fit, healthy or stylish. Fat activist and body positive advocates like me don’t see fat as a temporary phase of our life until we figure out a way to get the ‘perfect body’. My current body is my perfect body. I should not be told to lose weight so I can fit into a top I like. I should not have to workout till my back breaks so that I can fit into a pair of jeans. These things should be available to me, just like they are available for thin women. 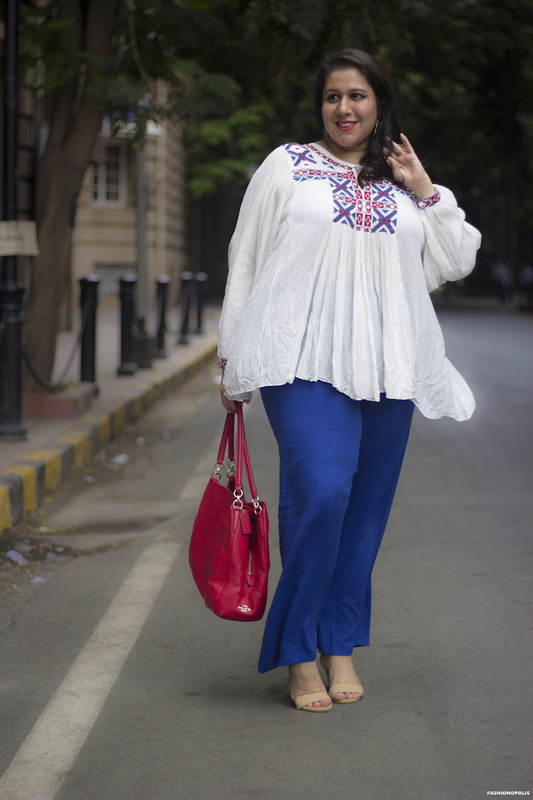 Here’s how plus size brands play a significant role in changing fashion industry’s attitude towards plus size and fat bodies. Unlike other brands, they have chosen to create clothes for a marginalized section of society. In a way, plus size brands are also making the most invisible woman, visible. Props to them for doing that. The pertinent question is, are the clothes created by plus size brands tasteful and fashion forward? Are they aspirational? Or are they just easy-to-make, tacky clothes with questionable aesthetics. Are plus size and fat women who are buying your clothes happy with it or are they craving for something better and stylish? A question every plus size fashion brand and designer needs to ask: are my clothes a convenience because of size availability or are they a choice because of good aesthetics? Will women of all sizes buy them? Globally, plus size and fat women are leading the body positive and fat acceptance movement. Fashion designers like Ashley Nell Tipton and Christian Siriano, plus size fashion brands like Lane Bryant, Eloquii and Torrid, magazines like Volup2, Slink and PLUS Model Magazine and events like TheCurvyCon are constantly breaking stereotypes and pushing towards making fashion more inclusive and diverse. There has been a conscious effort to create a space where plus size and fat women can express themselves, share their stories and celebrate their bodies. 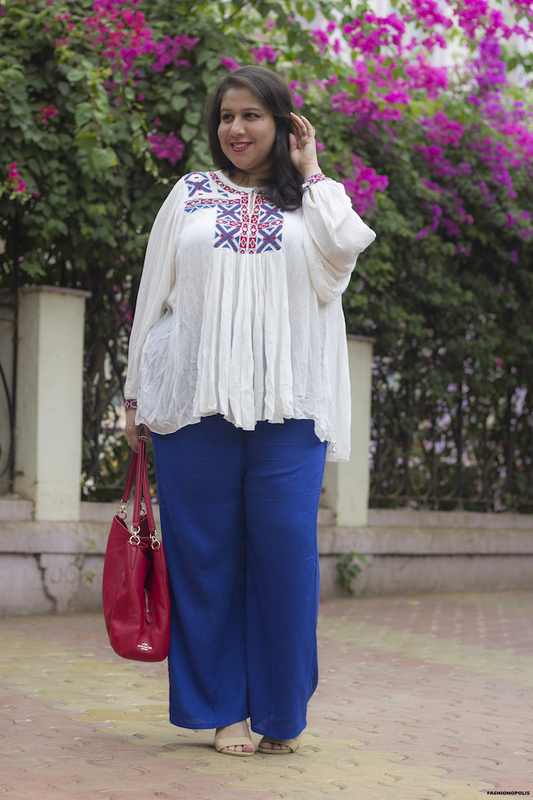 Unlike the west, plus size fashion in India is still struggling to find its footing. While baby steps have been taken in a positive direction, by large, plus size and fat women have no real representation. While some of us have been speaking about lack of size diversity and representation, our voices don’t really get heard nor does our work get noticed. 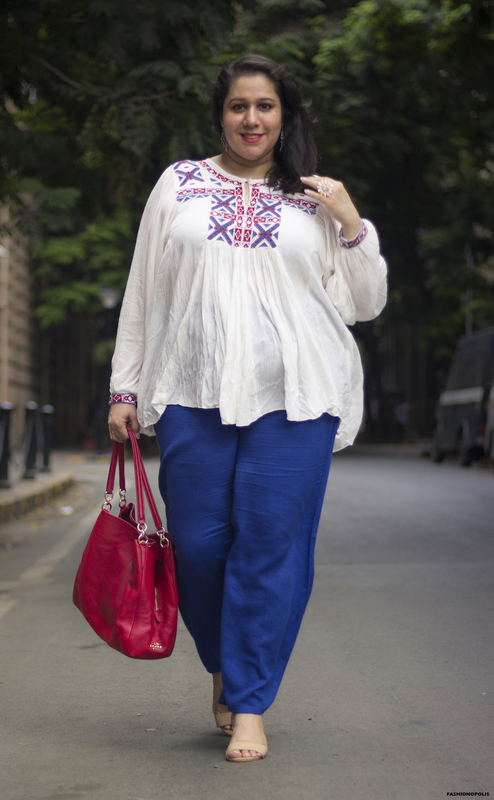 There has hardly been any effort from the Indian fashion industry to include vocal body positive and fat activist into their narrative. 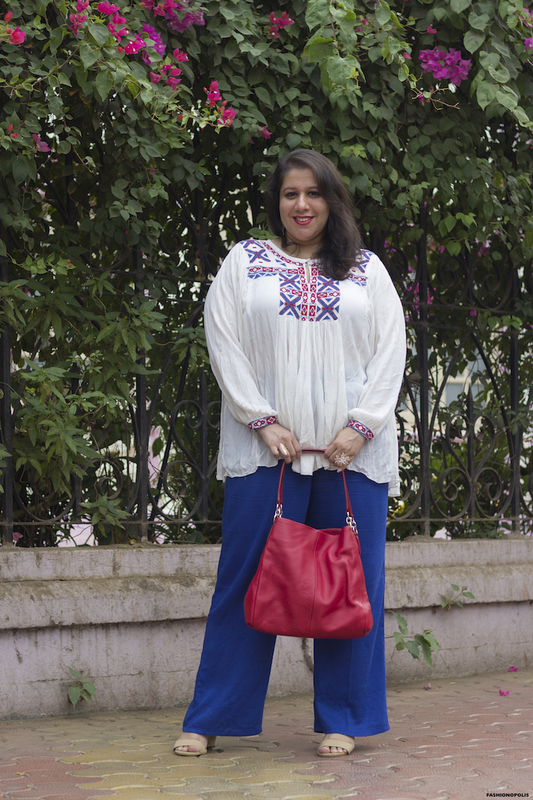 In India, plus size and fat women like me are barely seen, hardly heard and never applauded. In the current social climate, the only time plus size and fat bodies are seen is when a brand or magazine want to create a social buzz. Otherwise, we are relegated to the back of the line. A serious attitude change is needed towards plus size and fat bodies. I have said this before and I say it again, lack of representation is the biggest hurdle for plus size fashion in India. Until you don’t represent plus size and fat bodies in a positive light how can you expect plus size to become mainstream and be considered aspirational. All around the word, it has been plus size fashion blogger, body positive advocates and fat activist who have fought to have their voices be heard. We need to do the same in India. 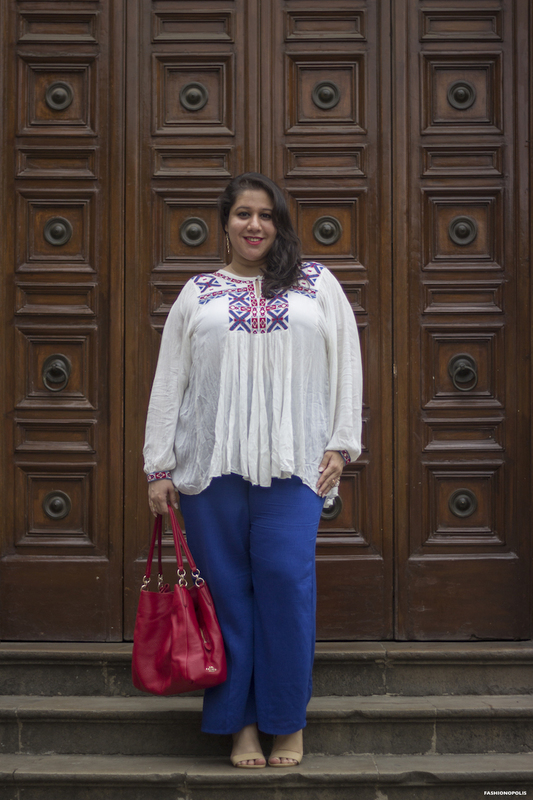 Can Plus Size Ever Be Aspirational? Yes! First thing first, we need stop glorifying skinny and thin bodies and treating fashion as a thin privilege; an exclusive club where only a select few have access to it. We need to stop celebrating only thin bodies and and we need to stop looking at plus size and fat women as the “ugly, unhealthy other”. We’re not that. We need to change the narrative, create space for a new, inclusive narrative and let women of all sizes have a stake and say in it.